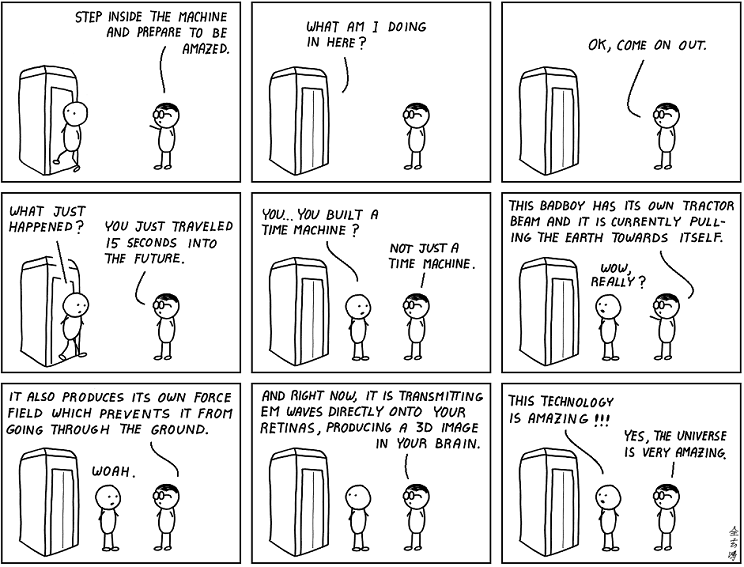 via Abstruse Goose | amazing. via DOGHOUSE | Things I Would Tell My Younger Self. The other day I accidentally made a gingerbread house entirely composed of candy I didn’t like. Those things are real traps. 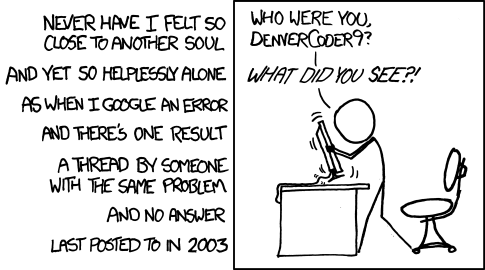 I mean, have you seen XKCD 1110? The collage is made up of 225 images2 that stretch out over a total image area 79872 pixels high and 165888 pixels wide. The images take up 5.52 MB of space and are named with a simple naming scheme “ydxd.png” where d represents a cardinal direction appropriate for the axis (n for north, s for south on the y axis and e for east, w for west on the x axis) along with the tile coordinate number; for example, “1n1e.png”. Tiles are 2048×2048 png images with an average size of 24.53 KB. If you were to try and represent this as a single, uncompressed 32-bit 79872×165888 image file, it would take up 52.99 GB of space. Anyway, looking at the comic in the static HTML version is better if you’re got the right mouse for it — alternatively, there’s also the zoomable version. Seriously, it’s amazing. Perhaps the best XKCD of all time. via Buttersafe » Swimsuit Season. Reminds me of this other comic. via Buttersafe » A Better Place.